Consistent vision should be the rule, not the exception. 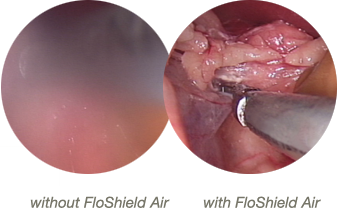 Clear laparoscopic vision shouldn't require an interruption in surgical flow. 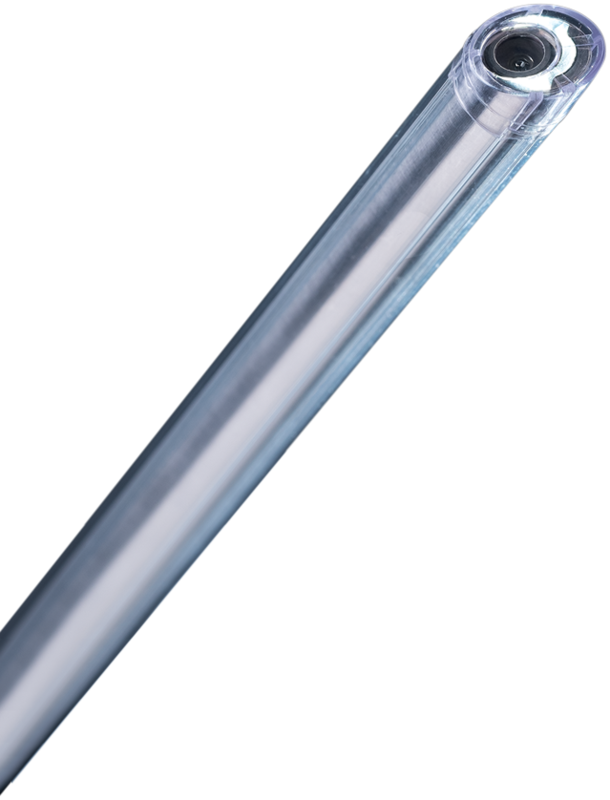 We developed FloShield Air to actively protect scopes from getting dirty, making clear, continuous vision the standard for laparoscope procedures. The FloShield Vortex Barrier Technology provides a continuous flow of dry CO2 gas over the tip of the scope, instantly defogging it while continuously shielding it from condensation, debris and smoke... all without removing the scope from the surgical site. Clear vision shouldn't be expensive. FloShield Air is an all-inclusive solution that eliminates the need for any other defogging and cleaning products, providing a cost effective solution while simplifying the surgical setup. FloShield Air provides enhanced clinical benefits that deliver better value than Covidien's Clearify™ (formerly D-Help). FloShield Air is compatible with most 5mm or 10mm laparoscopes and accommodates 0°, 30° and 45° angled lenses.